I can remember when I first heard that if I were the only person in the universe, Christ would still have died for me, and that I could know and experience His love and plan for my life. I immediately thought: If God has a plan for my life, I certainly wish He would hurry up and show me what it is. I had just finished college, was in a relationship with a wonderful man and held a teaching contract in my hand. At the same time, I was trying to figure out why I was put on this earth, and all I got for my quest was confusion. I had tried going to church and living a moral life, desperately attempting to do what was right, but still felt an inner vacancy. I thought that all I had to do was try a little harder to be good, and God would approve. This view, however, was not filling the emptiness I felt inside. It seemed the more I gave out, the less I got in return. In 1926, Vonette Zachary (in hat) was born in Coweta, Oklahoma, the eldest of four. Vonette was full of drive and a burning passion for life, even as a child. I wasn’t struggling with life because of some horrible event in my past or some tragedy that I couldn’t face. My life had not been a fairytale, but I did know the blessing of a happy childhood. As the oldest of four children, my earliest memories include the activities of a wholesome life. When I was a young girl, I determined to set my standards high, and my church background and home training prepared me to stay morally pure for the man I would marry. But in college, my confidence in Christianity wavered and I began to question the reality of my faith. My prayers seemed shallow and ineffective. In high school, my major interest centered on church-related activities, but in those early days of college, Bible reading was meaningless. Doubts came, and I was not faithful in church attendance. After her first year at Texas Women’s University, Vonette got a letter from a former Coweta classmate who had moved to Los Angeles and “made good,” according to her father. She and Bill Bright began a long-distance romance. I decided I would not allow William R. Bright to think I was thrilled to hear from him, so I ignored the letter. Months later and settled back into college life, I was cleaning out a desk drawer and came across the letter. I told my roommate some of my thoughts about this unusual young man from my hometown. She encouraged me to write to him. It had been almost three years since I had seen Bill Bright, but I spent an evening writing a 10-page letter. That was the beginning of a beautiful romance in which the correspondence flourished as we began to write daily. I received flowers, candy, a telegram or telephone call every week. My long-distance courtship became the talk of campus. I was truly swept off my feet. When Bill came to visit me, we had a delightful time together. After talking about what had happened in the years since we had seen each other, Bill proposed marriage, and I accepted. As we continued our relationship over the next three years, many spiritual questions plagued me. Bill had a deep religious faith. He sent me passages of Scripture to read, but they just did not have the same meaning to me as they did to him. He would also ask me to pray about concerns. I began to realize I was engaged to a man to whom Christ meant a great deal, and yet He was not real to me. I decided Bill had become a religious fanatic and that somehow he must be rescued from this fanaticism. At the same time, Bill was beginning to think that perhaps I was not a Christian. He knew he could not marry me until there was a change in my spiritual life. Young Vonette Zachary excelled in school and activities, making lots of friends and setting her sights on college. She then headed to Texas Women’s University for a BA degree in home economics. When Vonette graduated in 1948 engaged to Bill Bright, she had some doubts: “I decided he had become a religious fanatic who must be rescued.” She planned to either rescue him or break off the engagement. Bill began to think that perhaps his bride-to-be was not a Christian and had some doubts himself. He also had a plan. 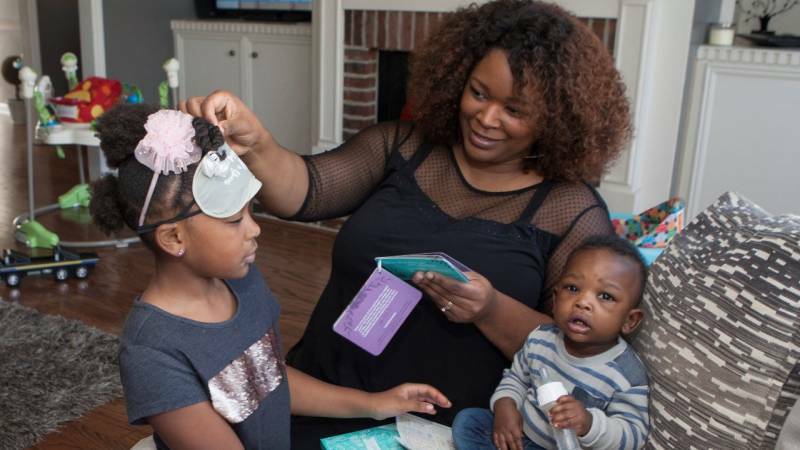 In Los Angeles, Vonette agreed to meet with Dr. Henrietta Mears, who explained the gospel in a way that made sense for the first time: “I bowed my head to pray and asked Jesus to come in to my heart and take control,” said Vonette. “At that moment, God became a reality in my life.” The wedding was on. Soon the Bright family grew to include Zac and Brad. The ministry grew to campuses across the country and launched internationally. In 1965, Bill wrote the distilled essence of the gospel, originally called Have You Heard of the Four Spiritual Laws? This little yellow booklet has been translated into more than 200 languages. Campus Crusade bought Southern California’s Arrowhead Springs as its headquarters. Then Bill invited me to come to California for a college briefing conference. My parents were opposed to me going, even though our engagement had been announced and the marriage was planned for September. As I walked across the stage to receive my degree, someone handed me a telegram from Bill congratulating me on my graduation. As I returned to my seat, I knew that I had to go to California. If there were a chance to save our relationship, I needed to try. My motive was to save Bill from the influence of those I considered fanatics. Unknown to me, Bill’s motive was for me to find Christ. When I arrived in Los Angeles, Bill and I went to a college conference at Forest Home, a Christian conference center in California. There I met young people who possessed a quality of life I had never seen. They vibrantly shared their faith. Their statements annoyed me because I felt that Christianity was something personal that you didn’t freely discuss. I tried to put their comments out of my mind, yet I admired them and liked their quality of life. So I listened to statements like, “Let me tell you about my answer to prayer,” or, “Just look what I read in the Bible today!” I asked them how they knew God had answered their prayers or how they knew what the Bible really says. I wanted to find out how they knew God so personally. I asked them how they knew God had answered their prayers or how they knew what the Bible really says. I wanted to find out how they knew God so personally. One evening as Bill and I were discussing the difference in these young people, I realized that his faith was right for him; but I had tried religion, and it just wouldn’t work for me. I knew I did not want to stand in the way of his relationship with God, so I concluded that perhaps the best thing to do was simply bow out of his life. At the end of the week, I would return his ring and we would go our separate ways. Then Bill asked me to talk with Dr. Henrietta Mears, who was the inspiration of the 6,000-member Sunday school at First Presbyterian Church of Hollywood. She later founded Gospel Light Publications to provide Sunday school lessons. Because of her vision, the Forest Home conference grounds, where Bill and I attended our first college briefing, became a great spiritual oasis for thousands of vacationers. Once Bill and Vonette were married, they made a contract with God and each other. Shortly thereafter, God gave Bill the vision for Campus Crusade for Christ. Vonette wasn’t so sure. Miss Mears was expecting me, and what I did not know was that the entire staff was praying for me. Miss Mears explained that she had taught chemistry in Minneapolis and that she could understand how I was thinking. I had minored in chemistry in college, so everything had to be practical and logical to me. As she explained how I could be sure I knew God from the Bible, she used familiar terminology. She said that God loved me, and if I had been the only person in the entire world, He would have done everything He could to reveal Himself to me. He had a plan and purpose for me that was far beyond anything I could possibly imagine. However, before I could know that plan and purpose, it was necessary for me to know God. She explained that just as a person going into a chemistry laboratory to perform an experiment follows the periodic table of elements, so it is possible for a person to enter God’s laboratory and follow His formula for knowing Him. The reason man does not know God is that he is sinful and separated from God. I finally began to consider who Jesus Christ is, and I had to admit that I did not really know Him. When she said, “Man is sinful,” my reaction internally was, Speak for yourself. That doesn’t apply to me. I’ve worked at this business of being a good girl. Then she showed me Romans 3:23: “All have sinned; all fall short of God’s glorious standard.” She explained that sin is falling short of God’s perfect standard for us and breaking His rules for living. I had to admit that I fell short of this standard – and even my own standard – many times. I was a person who kept lists of areas of my life to improve, and I worked desperately at being more loving, considerate, helpful and neat. Miss Mears went on to show me Romans 6:23: “The wages [result] of sin [falling short of God’s standard] is death [spiritual separation from God], but the free gift of God is eternal life through Christ Jesus our Lord.” I finally began to consider who Jesus Christ is, and I had to admit that I did not really know Him. As Campus Crusade grew to more than 100 countries and launched more ministries like Athletes in Action and The JESUS Film, Vonette’s influence also grew. Inspired by Acts 4 and concerned about the change in American values, she began the Great Commission Prayer, urging prayer for the nation and its leaders. In time, Vonette garnered enough attention and support to make the first day of May America’s National Day of Prayer. In 1988, she introduced legislation that President Ronald Reagan signed, making it official. Vonette served on the the National Day of Prayer Task Force from 1982 until 1990, when she became chair emerita of the National Day of Prayer. Thanks to Vonette’s efforts, today tens of thousands of events are held nationwide for the National Day of Prayer. Local volunteers hold a variety of activities ranging from prayer breakfasts, Bible reading marathons, concerts of prayer, rallies, church prayer vigils, student flagpole gatherings and observances held in sports stadiums. In 1993, Vonette launched Women Today International and its radio program, now aired on more than 486 stations. Mary Graham took what she learned from decades with Campus Crusade and helped launch Women of Faith, the largest-ever women’s event ministry—hosting more than 4 million women since 1996. “I can’t think of a single person on the planet that I respect more than Vonette Bright,” says Bible teacher Beth Moore. In 1996, Bill won the Templeton Prize for Progress in Religion due in part to the ministry’s emphasis on prayer and fasting. It came with a $1 million prize, which he readily donated to prayer efforts. "At Buckingham Palace,” [above] Bill said, “the crowds thought Vonette was the queen in her lovely hat and gloves. Of course, she is my queen." 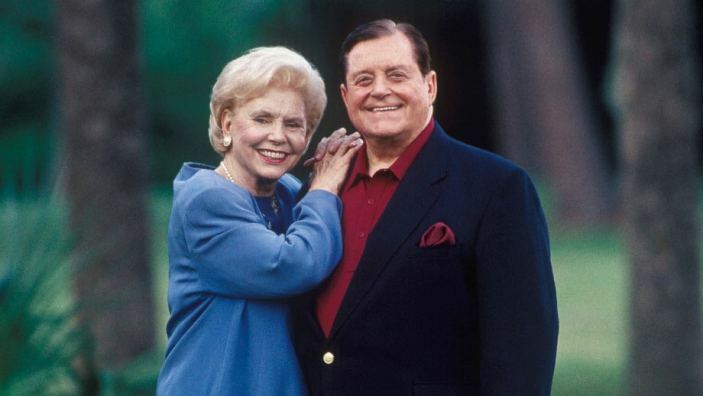 By 2002, Vonette had authored 20 books, received four honorary degrees, and also received national recognition for her contributions to prayer and broadcasting. Vonette Zachary Bright: July 2, 1926 - December 23, 2015. If what she told me were true, I had absolutely nothing to lose and everything to gain. I bowed my head to pray and asked Jesus to come in to my heart and take control. At that moment, God became a reality in my life. At the time I received Christ, the picture that came to my mind was one I shall never forget. I was standing in utter darkness on the edge of a diving board. (I do not swim; as a matter of fact, I almost lost my life in a swimming course in college. I passed the course but have not jumped off a diving board since.) In the dream, I did not know whether or not I could swim, but I knew I had to jump – and I found out that I could swim and that God is real! I gave Him all my trust, and He didn’t fail me. From that day on, God’s direction in my life became a reality as I found my strong will and temper easier to control. The Bible became a living Book and a guide for my life. I could not have imagined how the decision I had made would impact the rest of my life, but it has and is continuing to be the greatest influence. On December 30, 1948, Bill and I were married, and the greatest adventure of my life began, not just in my new role as a wife, but also in my new life as a believer. If you would like to take the next step in your faith, click here.